Nevada’s wholesale prices are the most expensive at $4 per gram, followed by California at $2.43, Colorado at $1.93 and Oregon at just $1.33 per gram wholesale. But has the bottom really fallen out, or is it just all part of an annual cycle in outdoor cannabis being magnified by legalization? “Every fall we see a new low as the outdoor crop comes in. That flattens out in the first half of the year,” said Tom Adams, managing director of industry intelligence at BDS, which tracks consumer retail prices. Cannabis’s price now moves like other commoditized agricultural products, for which boom and bust cycles are normal. As prices go up, the market attracts more growers. As the growing field gets crowded, some exit. The question is: How long will prices stay low? 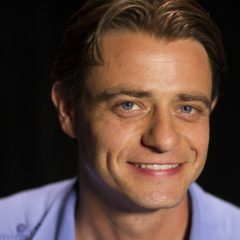 But it’s more complicated than that, said Jeannette Horton, head of global marketing and communications for MJ Freeway. A high-end market for craft cannabis is developing, too. 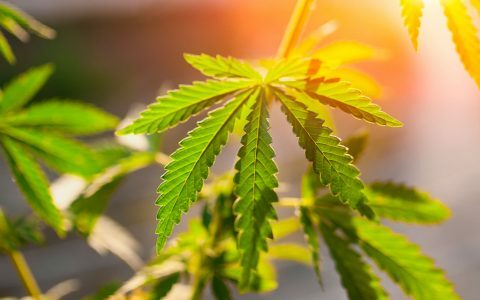 Most of the illegal market cost of cannabis is risk, according to researchers at RAND. Prices peaked in the ’90s and 2000s with high demand and high prohibition. With prohibition receding, so are prices. Oregon legalized in 2014, and cannabis retail flowers prices are down 36% over the past two and a half years. Similar trends have taken hold in Colorado and Washington, according to Adams. 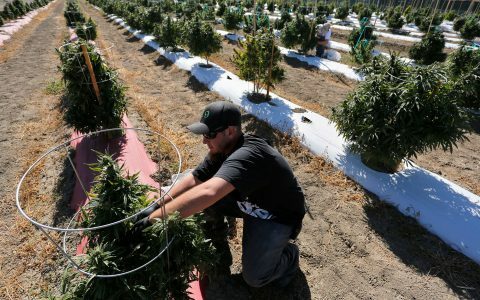 Harvest season oversupply has challenged legal states in recent years. In 2015, Washington saw Seattle’s market—which was being served by indoor grows—suddenly flooded as the outdoor crops east of the Cascades arrived late in the year. Prices collapsed. Sometimes efficiency and scale lead to oversupply, but they also promote taxes. In California, high taxes have actually raised the retail price of cannabis—up from $9.66 per gram in March 2017 to $9.82 in May 2018. “California is about twice the taxes and regulations of anybody else,” Adams said. In general, prices will likely continue to fall as industrialization and consolidation drive production costs down in maturing markets. High taxes and fees will make margins super narrow, pushing further cost reductions at the farm. 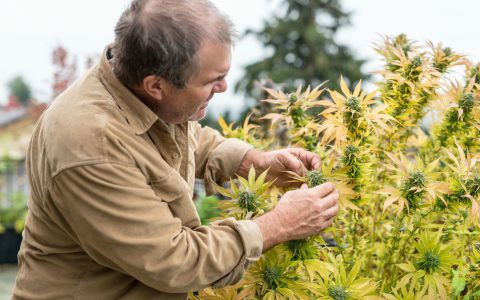 Rubin predicts that most American farmers and agribusinesses will eventually consider working cannabis and hemp into their total portfolio to create a new revenue stream. Cannabis flower could also one day be priced like ketchup packets—the per-unit cost is miniscule at full industrial scale. Free joints for new customers could become even more common, where regulations allow. For the industry, price is driving a shift from flowers to more processed and value-added cannabis extracts and edibles. Prices for manufactured cannabis products have gone up in Oregon and Colorado despite falling flower prices. US consumer spending on concentrates alone is projected to grow by 49% and reach $2.9 billion in 2018, based on a recent industry report. 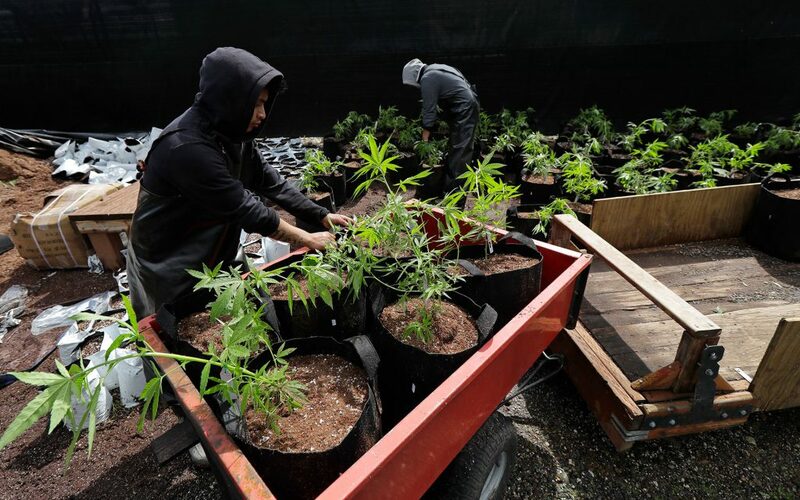 By 2022, US concentrate sales are estimated to hit $8.4 billion, nearly matching the $8.5 billion in flower sales forecasted for that year. So with the cost of the raw flower going down, and the price of the finished products such as concentrates and edibles going up, margins have a chance of increasing. How are prices looking where you live? Let Leafly readers know in the comments. Thanks. 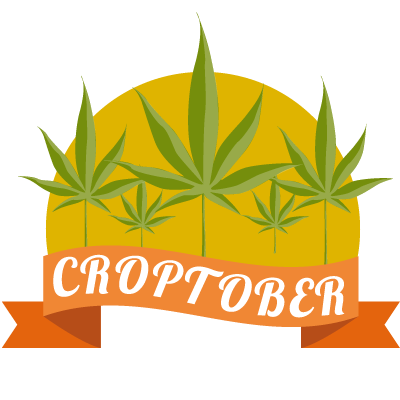 Growing What Is #Croptober? 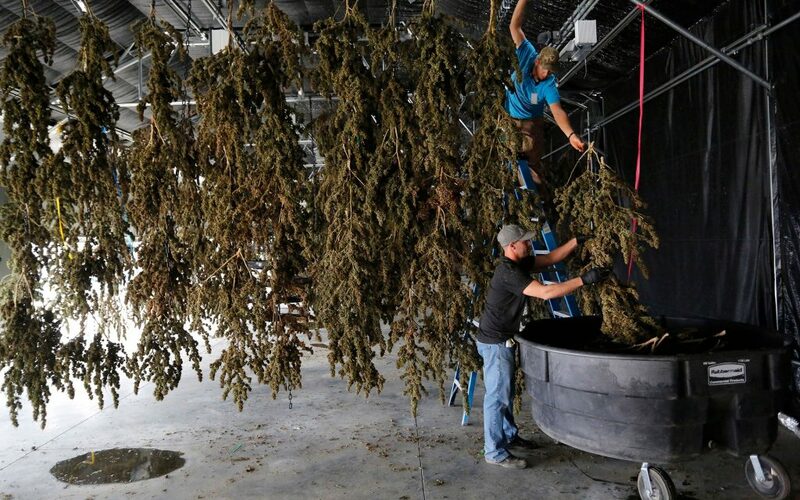 Celebrating Cannabis Harvest Season Growing Cannabis Harvest in Photos: The 31 Days of #Croptober Growing The Top 5 Regions Where Cannabis is Grown in the US Growing Think You Have the Biggest Cannabis Tree? Show Us! Good article! – Sorry for all the growers and sellers, but it’s time to come down from the gold-mine, fantasy cloud. – It’s just a plant. I agree!!! At 67 years old, before I go forward into the Great Beyond, I’d just like to be able to afford a damn ounce of really good weed!!!! It is just a plant that has 300 pests, 300 pathogens and 8 viruses that attack it – more than any other plant in the world. It is just a plant that takes 8 months to grow outdoors, 2 more months to process, more time than just about any other crop in the world. There are so many problems with the “just a plant” ignorance it is hard to even know where to start. This is a modern grower’s perspective. I used to grow it back in the ’70s and had many friends who also grew it. It was nowhere near this much hassle. Before that I used to pick it where it grew wild, with no problems whatsoever. In fact, those wild plants were so healthy they dominated their environment, out-competing rival species for sunlight, nutrients and water – all 100% naturally. The problem now is that just like our food crops, massive hybridization and excessive use of chemicals have weakened cannabis plants and made them much weaker, more sensitive, and vulnerable. All to get the highest possible potency so users get anesthetized rather than high. Plus it has to happen in a single hit rather than over a longer, more mellow, enjoyable, social period of getting high with your friends. Give me back the old school weed and experience. Screw this modern, hybrid crap and accompanying outrageous prices!!! hahaha!! i remember at 18 in indiana, driving out the country roads and “harvesting” our pot from along the railroad tracks! skunk weed, we called it then (1968). then i remember the paraquat-laced days in the late ’70’s, early ’80’s, living in s.f.,, when 1/4 of the pot was sprayed (by the federal govt!) with the highly toxic pesticide, paraquat. they just don’t want a hippie to get high! 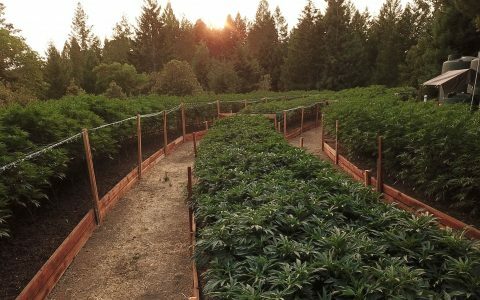 for the next 25 years, i had a wonderful, trusted grower in the emerald triangle that kept me supplied without stealing my rent money and i was a happy woman. now, i live in a great state, oregon, where i have my choice of cannabis stores to go to and know exactly what i am getting, where it was grown/harvested, how organic it is, my choice of %thc/cbd, indica or sativa, depending on what affect i’m after….pretty damned sweet! i’d like to keep it this way…thanks very much! I wonder how this will affect good marijuana stocks.? $10-15 is insane imo. It’s weed*. $20 is the most I’ll pay for an eighth. Get to know your bud tenders, tip them, and walk if need be. $40 an ounce texted to me yesterday. Won’t be great flower, but make your own butter. Boom and Bust is nothing new, and the Colorado retailers I visited would run out of strains from time to time. 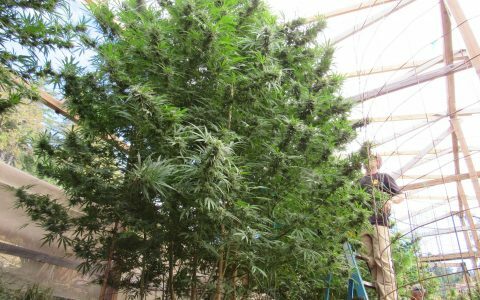 If there’s a glut in a Strain that you like, stock up because sooner or later the Outdoor harvest will be sold out. On the Other Hand, the Outdoor Home Grown harvest is also in. Here in Las Vegas, most of us can’t grow our own because of the extreme climate and a law that prohibits anyone within 25 miles of a dispensary to grow their own. So we don’t have the glut of outdoor grown weed that the other states have. That’s okay, if you shop deals you can find prices somewhat similar to other states. Bottom line is the weed today is far more potent than decades past so for me, just a few tokes on some 22% THC ganja is plenty. Does sharing a border with now cannabis legal California mean anything insofar as to the supply of cannabis in Nevada? Problem is once you transport weed across state lines, it becomes a federal offense. So the demand in Nevada can’t be solved by interstate transport from California or other states. No Jeff, because all Nevada cannabis has to be grown in-state and tested by state regulators. We can only sell local weed at our dispensaries. Nice to see an article like this. Blows away the BS and concentrates on the economics. Good job. Canada just ran out of sellable flower. PRICES ARE SKYROCKETING. Also, and kind of important – has anyone noticed that even though dispensaries all list $3 grams, when you go into them almost all they are selling is flower at top shelf prices? 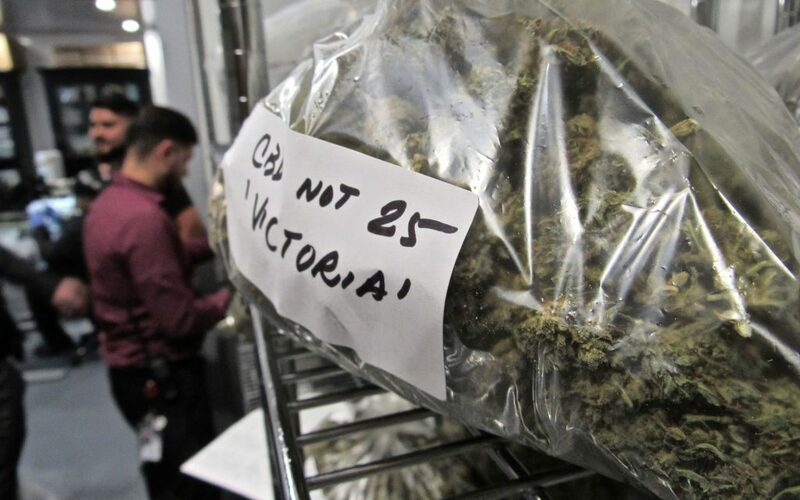 Seriously – the dispensary prices are exactly the say as they have ever been. If you want the cheap you are buying trim. The only price point that is actually “collapsing” is the price the grower gets, allegedly due to stiff competition. BUT, there is very little competition for Indoor grown and according to Cannabis Benchmarks Indoor is selling for about the same price as always. I’m not actually seeing this price collapse…. Real PotHeads don’t want Govt Weed. Real PotHeads don’t frequent Govt approved dispensaries..
Real PotHeads Vote for BC Bud. Finally the ‘dollar sign eye syndrome’ gets to face reality. Let’s see how many of the ‘stoner mentality’ business owners adapt. It’s been hilarious here in Oregon hearing about how the old illegal owners haven’t upped their professional demeanor when shifting to legal. Some treat their employees like dirt…gonna have to change if they want to stay in business. All a good progression in a new market. But Industrial Hemp will, no doubt, overtake cannabis when it becomes a verified farm crop when the 2018 Farm bill passes this year. 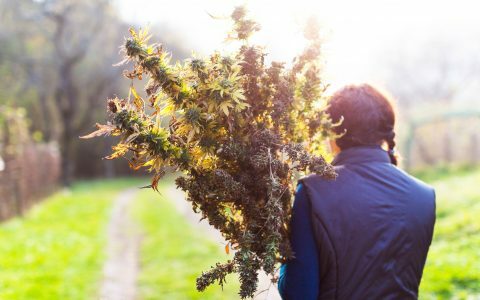 Hemp has way more product potential than cannabis ever will. Together? A smart gold mine. But I’ve got my money in HEmp. Legal weed is also $200/oz, so no difference! What state are you in for $200 oz may I ask? I bought a new VW back then for $2,000. It is called inflation. The product is the same, only the money is worth less than before. Think of your house price in 1980 and now. Value per mg of THC is now an all time bargain. Minimum wage was $3.35 in the 80s. Things are a little better of now. Bet you wish you still had that VW. Cheapest I’ve seen recently for decent weed in Oregon is $48. an ounce. Prices for extracts/concentrates are also falling – some below $10. a gram ($8. is the cheapest I’ve seen). I feel sorry for the growers and dispensaries. Most are expecting a shakeout that will reduce the number of small sellers/growers. Craft beers are very popular here and my guess is the pot market will end up connoisseurs willing to pay a premium for top shelf product from small craft producers. The rest of us will have fantastic weed at historically low prices. Until I won a free eighth I believed the hype that if you’re accustomed to doing concentrates (wax/shatter) smoking pot won’t be as fun because the concentration of active ingredients is so much lower in the raw plant. I find that vaping the plant using a dry herb vaporizer not only gets me as high as the concentrates, at temperatures at or below 400 F. the smoke is generally less harsh than cartridges. You need to have a vaporizer that actually ‘bakes’ the plant material instead of burning it. Some of the cheapest pen style vaporizers for herb don’t actually vaporize the pot, they burn it via direct contact between the pot and the heating element . Make sure you get a vaporizer that has a heating chamber that keeps the pot and the actual heating coil separate. Another advantage of vaping the dry herb is that the what remains can also be used in edibles and still has enough active ingredients to make saving it until you can make some canna-butter worthwhile. “…what remains can also be used …” absolutely! we call that “the dregs” lol! Yeah, I’m close to 75. I’m 55. We called them dime bags back then because in theory you should get 10 doobies in a bag. I’ve been buying $50 ounces here in western Washington state for over a year or so now. It’s grown outdoors but it’s excellent cannabis. It’s at High Elevation a few miles south of Shelton Washington on US-101 at Kamilche. It’s owned and operated by the Squaxin Island tribe and it’s the very first Native American recreational cannabis retail outlet IN THE ENTIRE COUNTRY. It’s across the street from their casino they call Little Creek. They have an excellent variety of flower, concentrates and edibles. Last time I was in there I bought a 1 gram cartridge of 91+% distillate from Mfuse (that was very tasty) and 2 grams of one of their house brands of wax. Price? $30 for the cart and $10 a gram for the wax. What a deal!! They have $50 an ounce flower all of the time as they grow it themselves on their land not too far from their store. And they usually have 5 or 6 different varieties of that as well. interesting! is this cannabis exempt from paying state tax since it is grown on sovereign land? Like cigarettes? I don’t know but I think they realize it’s better to not rock that boat as this is the bread and butter for them as it’s basically all profit. You ought to see their (outdoor growing) operation. It’s impressive. And knowing they have these $50 ounces all year long in probably 6 or 7 varieties until next years crop rolls in confirms that. They must sell thousands of $50 ounces. If you do a news search on them being the very first tribe (the Squaxin Island Tribe) in the country to open a recreational retail cannabis business you’ll find more interesting reading. I noticed that within a week after legalization took effect in Canada they were running out of supply in many parts of Canada. It’s really unfortunate how the sporadic map of legal cannabis and the parts of it where it is illegal making it illegal to even transport through the state + the U.S. Feds trying to stop it everywhere make it impossible to create a good free market economy for weed. Then it would be widely available everywhere and like any other free market, surpluses and deficiencies would be much more evened out, as would prices. Places with surplus would simply ship to places where it’s lacking or in short supply – just like the world produce market. In winter now, we can get produce from Mexico or South America. I would guess that the same happens in reverse in the North’s summer, the South’s winter. If only we can get to that point with cannabis, Oregon, Colorado, and other states where it’s legal to grow, distribute, and sell could ship to Canada or anywhere else when it needs some. I don’t care how low the price gets – I don’t particularly like modern strains because they’re too strong. All the years I smoked ganja when I was young wasn’t just about getting high. We looked for good taste as much as potency, as well as an exceptional overall experience. I don’t get that sense anymore. It feels more like smoking something synthetic that knocks you out so fast you don’t have time to enjoy the process of getting high, that I enjoyed as much as being high. Today, that’s all you get – the experience of instantly being high, very high! The whole experience of purchasing it was part of the exotic experience too. I really dislike it now – feels like going into a pharmacy and picking up some OTC drugs plus getting a few prescriptions filled – boring! So sterile and commercial, not like walking into a dealer’s living room decorated in exotic tapestries and rugs, sitting on cushions or the floor sampling from a hookah, listening to some excellent new stoner tunes, and enjoying it more as a social occasion, getting high and conversing with good friends, than a lifeless, commercial purchase routine. I dislike the whole modern cannabis experience so much, I quit using it in any form entirely! Very sad! Correction – I still use it in medicinal form because that’s what I consider to the the really beneficial modern breakthrough. The topical cannabis cream is the best thing I can use for my arthritis. Stops the pain and frees up the joints almost instantly – a “miracle cure”! Shows: Nepalese temple balls, Lebanese, Afghanistani and Pakistani Hashish nestled in a bed of Panama red, Acapulco gold and Michoacan. Their prices: I already listed the weed prices above. 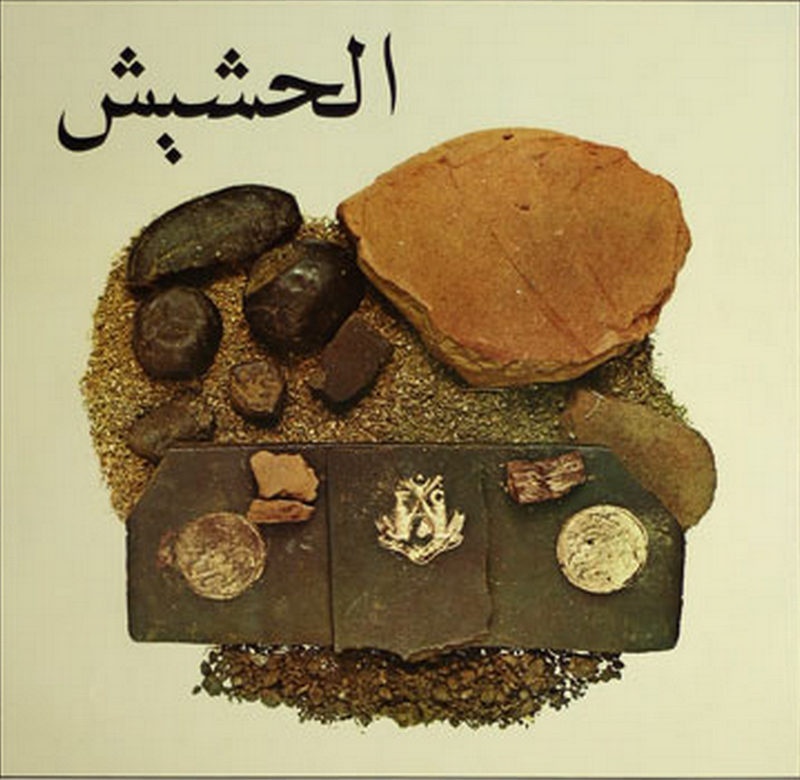 Mid-’70s hash prices were $5/gram, $90-105/oz, $1000-1200/lb. A gram lasted about as long as 1/4-1/2 oz of weed. Primo cost about 10% more. I got my temple balls directly from Nepal so it was cheaper. If not, would probably have been about same as Afghani Primo. Afghanistan also produced a slightly lower grade not shown here, that was called a name I can’t remember. Of course, it was cheaper than Primo by about 20-25%. To be Primo, it had to have that seal stamped onto the genuine gold foil – the big laugh is it was stamped by an Afghan government official because they collected an export duty on it. here in my corner of oregon, we have noticed that most dispensaries are offering “specials”, some strains of bud for $50-80/oz! unheard of in my 50 years of using cannabis! but since we have been here, (over 2 years), i have changed over to using the cartridges for health reasons (vaping rather than smoking) and have had the same prices consistently ($36.00/gm, tax included). sad to see california fall so far behind d/t their insanely high tax structure, when they should have been the state to lead us all to legal cannabis. glad i’m not there anymore! i read recently that oregon is trying to figure out a legal way to export our great cannabis to other legal states. that would make our growers happy. The simple fact is you get exactly what you pay for; $60/oz cannabis is larf and ditch weed and no matter how much you swear that its top shelf, it isn’t even close. Quality indoor grown cannabis w 24% THC and ZERO pesticides is going to cost you $12/g. Maybe camel dung hash guy can get you some real hash from Turkey and sell you a “dime bag” of “doobies”.